Hey guys! Well, I cant think of any amusing anecdotes, so I think I'll just put a bunch of pictures I took around town and include some captions and call it a day. 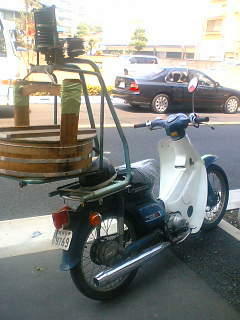 Heh heh, this bike is especially made for Sushi delivery! 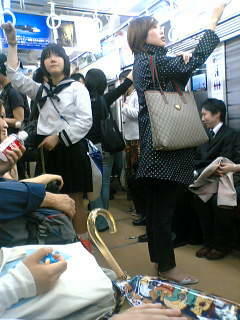 Someday I may own my own SushiBike. I mean, think of all the chicks I could impress! 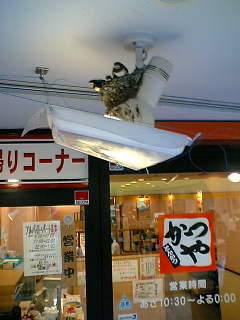 ^^ Some swallows made a nest on the lamp of a nearby restaurant. It's a crowded area, but no one bothers the baby birds, and the other day I saw one of them fly. They're so loud and so so cute! Alright, so as Grandma Blue pointed out, Peter isn't my Grandfather in Law, he's my step-grandfather. But I actually met my grandfather in law this weekend, He's a very talented ink painter. 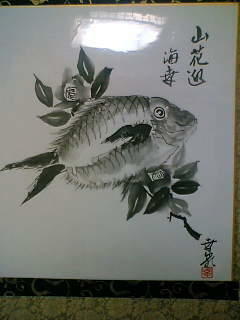 He painted a fish for me and Takeshi, it's hanging in our apartment now. And speaking of fish, Takeshi loves fishing. 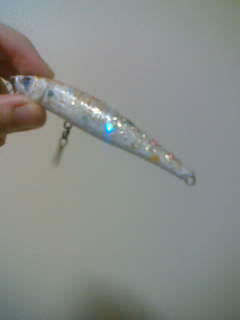 He has a ton of lures, and some of them have had the paint wear away after too much use. He asked me if I could repaint a couple of them. I looked at the paint in the fishing store, and it's enamel, and pretty expensive. Hm, enamel? I thought. 'Is it ok if I use nail polish?' He shurgged, sure, why not. So I bought the girliest nail polish I could find.. gold sparkles and glittery hearts! Heheh, I doubt any fish will go for it, but it's pretty amusing to look at. 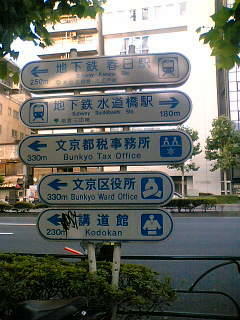 Here's the sign to the kodokan. 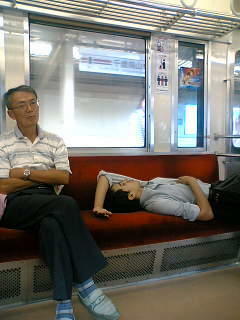 I finally found a closer dojo that's in Chofu city, and it's only 1000 yen per month ($10). But the Kodokan has its own street sign, check it out.. (you gotta love the little icon of the judo guy ^^) And finally, here's the picture of the beer garden. 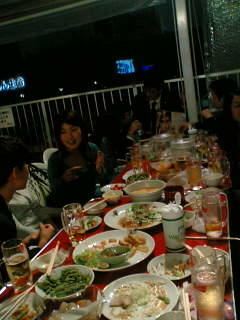 I went to with Takeshi's coworkers a while back. Kanpai! 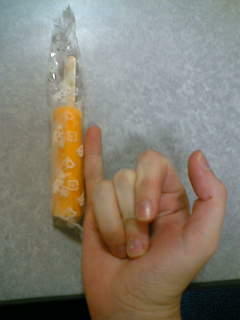 The fish lure is bigger than the popsicle. I wonder if the fish would go for a popsicle lure? 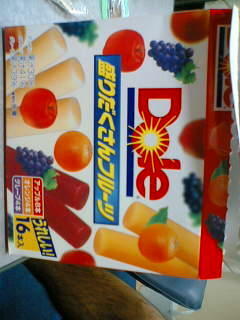 I'd probably like the small popsicles because I always lick them really slowly and it ends up melting all over myself.